LONDON: China’s Xiaomi unveiled the Mi 8 Pro smartphone in London Thursday, making a UK debut as the tech giant ramps up its European presence before an expected American launch next month. The phone, which retails from £499.99 (US$657, 573 euros), uses Google’s Android operating system and has a fingerprint sensor in its 6.2-inch screen. It will be available from various outlets including operator Three Mobile. Xiaomi also announced it will open an official Mi Store on November 18 at London’s Westfield shopping centre in White City, having opened in Paris earlier this year. “Mi 8 Pro is a milestone product and that’s why we think it is perfect here today at a global debut here in London,” said Donovan Sing, director of product management. The entrepreneur behind Xiaomi, Lei Jun, describes the business he has built as a ‘new species’ of company with a ‘triathlon’ business model combining hardware, internet and e-commerce services. Smart phones have remained at its core since its 2010 founding in Zhongguancun – China’s Silicon Valley – and sales have skyrocketed, making Xiaomi the world’s fourth-largest smartphone vendor at the end of last year, according to International Data Corp.
As some European consumers have pulled back from expensive outlays for an iPhone or Samsung, Xiaomi’s more affordable product has proved a hit in countries like France, Italy and Spain. 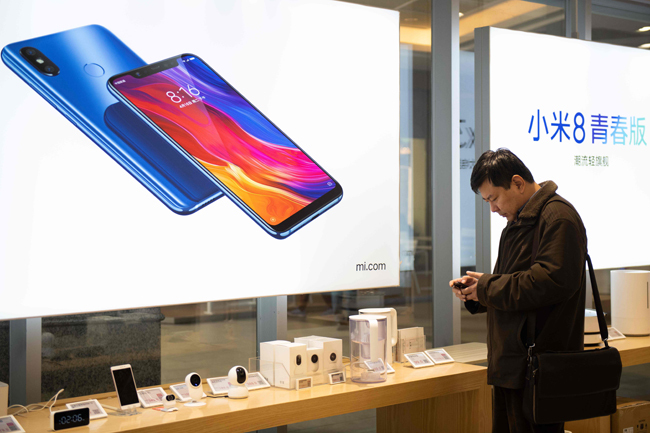 “Europe is our next focus,” Lei Jun told investors this summer, noting the company’s explosive growth in the region had already made Xiaomi the number four smartphone seller in western Europe. International sales now bring in more than one-third of the company’s revenue. Its phone chargers initially faced a relatively high defect rate because of India’s power supply problems and required a redesign to increase voltage. Xiaomi should avoid such issues in the United Kingdom, but could encounter scepticism over its Chinese origins and concerns over data security. Even after its Chinese competitor Huawei built a cyber security centre for UK officials to review its code, controversy about the company’s operations and potential national security threats has continued. Previous ArticleAs Singles’ Day nears, are China’s shoppers about to drop?